While Spanish girl names like Sofia, Camila, Isabella and Spanish boy names like Jose regularly top the baby name charts, I’m always on the lookout for great names that fall under the radar. 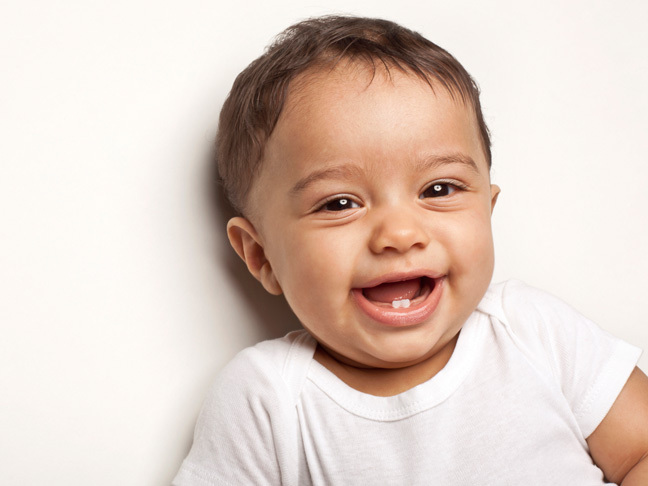 Here are 31 of my favorite Spanish baby names that you could consider for your baby to be. No surprise—this sweet word name means adoration. Consider this Spanish take on Agnes, which shares its pure meaning. This pretty name comes from the Spanish word for dance. This soft and poetic name has the lovely meaning, heavenly. Cinta’s the Spanish version on Cynthia, another once beloved name that’s fallen off the radar for parents-to-be. This name means bathed in gold—a poetic choice, to be sure. Love floral names but looking for a little Spanish flair? Go for this name, which means pretty flower. Another pretty floral name, from a tropical tree with purple blooms. This Old World place name comes from a Spanish island that serves as a popular tourist destination. Okay, maybe you have heard of Montserrat—especially if you were a fan of the telenovela Lo que la vida me robo. That’s what led to the name rising into the top 1000 for the very first time here in the U.S. this year. It’s the name of a mountain range in Spain—and one of the most popular Spanish baby names around. This Spanish name based on the birthplace of Jesus is technically unisex, but I like it better for a girl. Love the ocean? Consider this name, which means little wave. Joan Didion named her daughter this, but otherwise, this Spanish name that means “fifth girl” is really up for grabs. Nope. This baby name has nothing to do with soccer. It means help, and it’s commonly associated with Jesus’ mother, Mary. Yep, maybe he’ll hear one or two cries of “Remember the Alamo,” but I think the time is finally right for this name to reemerge from hiding. This old-fashioned name means noble—and comes with a built in cool nickname, Fonz. If you’ve heard this pretty surname name, it’s probably on folk singer Joan Baez. It has a sweet meaning–lamb—and some cool nicknames (Corey and Cord among them). This Spanish variation on Herbert sounds much better than the original. (Consider it as a potential option for paying homage to great uncle Herbie. The meaning is pretty clear! Way cooler than Casper, and not as used as Jasper, this makes the perfect pick from this rhyming set. It’s a floral pick (Spanish for hyacinth) that still works for guys. Pronounced like the movie, Juno is perfect for a little boy or girl, especially one who was born in June. A name that means “look,” and is related to famed artist Joan Miro. Don’t like that whole story about Nero watching Rome burn? Skip the original and go with the Spanish variant. With a stellar meaning like “wise,” it’s a wonder that this Latin name hasn’t taken off. Skip the problematic Tiger Woods homage and go with the Spanish baby name for the big cat. You may have heard this name recently — “The Today Show’s” Savannah Guthrie’s named her daughter Vale — but it works for both boys and girls. Believe it or not, this cool name (with the x factor and everything!) is a Spanish version of Salvador.